Here's a bloody ceremony and a vengeful beasty. I was surprised the Dog-Demon has such a dark story. They're the main characters in one of my favorite animes. 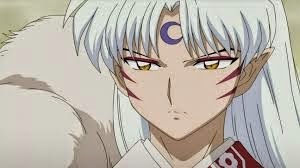 Sesshomaru is still my favorite character even though the anime has been over for years. The Inugami (dog god) can be conjured through a cruel ceremony. A common pet dog must be buried up to his neck, only the head remains free. Then, a bowl with food or water must be placed close to the dog, but at an unreachable distance. Several days after that, when the dog is about to die, his head must be severed and buried beneath a noisy street. After a certain time, the head and body must be placed in a shrine. Now, the person can conjure an Inugami. The creators of this dog spirit are called Inugami-tsukai (dog-god users). Another legend states that an old woman, who desired revenge, buried her treasured dog in the ground with only its head sticking out. She said "If you have a soul, do my will and I will worship you as a god." 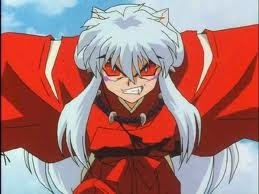 She then cut the dog's head off with a bamboo saw, releasing the dog's spirit as an Inugami. The spirit did as she wished. In return for its painful death, it haunted the old woman. 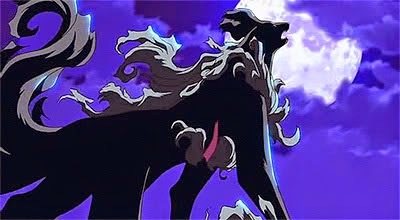 Inugami are a form of Shikigami that usually takes the form of a dog. But the spirit is such a high form of shikigami that those who possess it run the risk of being controlled by it instead. Inugami are used for criminal activities--- murdering, kidnapping and mutilation. The evoker can order their Inugami to possess and manipulate people. The victim is often forced to kill themselve or other people, or to act like a lunatic. Since the Inugami´s soul is blinded by its desire for revenge and it's unstoppable rage, the demon dog can quickly escape the master´s control and kill his own evoker. An Inugami's original body stays behind when it leaves to follow its masters wishes. The buried corpse slowly withers and rots, and if the Inugami returns after the body is no longer habitable, it may take control of its master's body, making it even more powerful. Possession by an Inugami is said to cure sickness. However, it also results in the possessed behaving like a dog. Families that keep Inugami in their household are called Inugami-mochi (meaning "Those who have a dog-god as a pet"). 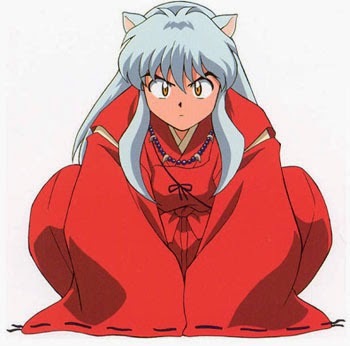 It's tradition within these households that family members always marry members from other Inugami-mochi only.